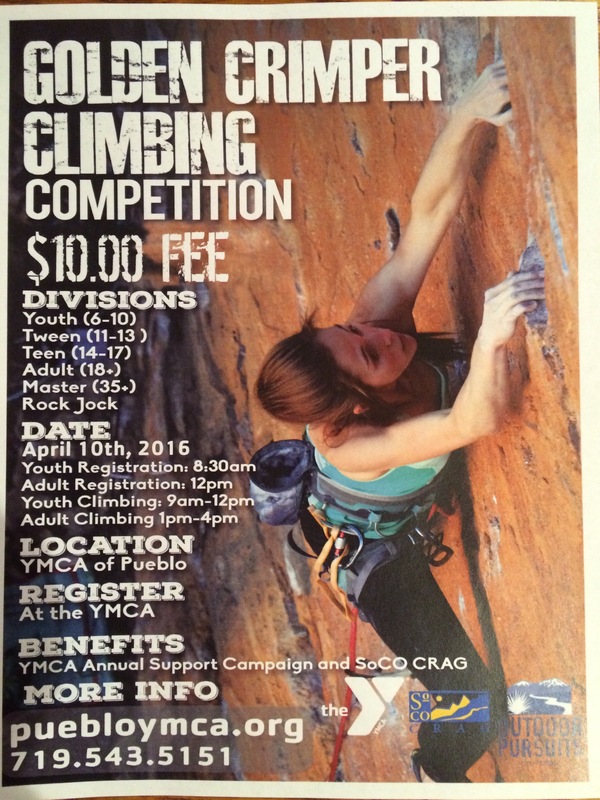 The 4th Annual SoCO CRAG / Pueblo YMCA Community Climbing Competition held Sunday, April 10, 2016 at the Pueblo YMCA was a success. Kids 6-17 competed in the morning and adults ages 18+ competed in the afternoon. Thanks to our sponsors Wendy’s, DMM, REI, and Access Fund. 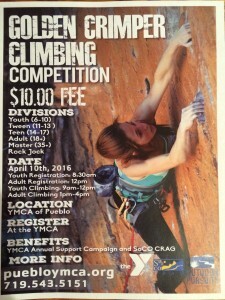 Awards and prizes were given to the top youth and adult climbers. 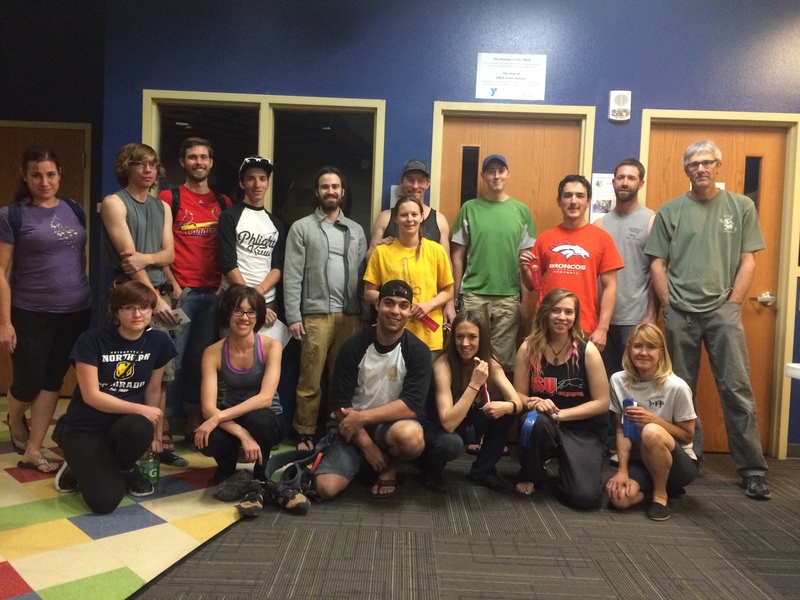 Scoring was based on a climber’s 5 highest scores from top rope and bouldering combined. 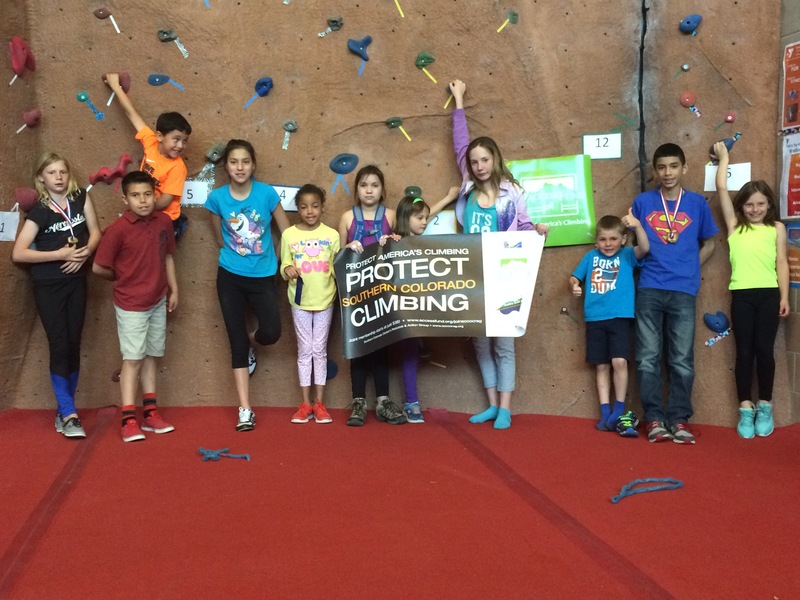 The highest scoring climbers from kids and adults won the coveted Golden Crimper.